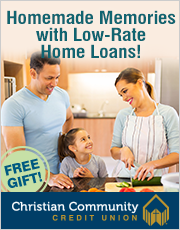 Newlywed couples quickly discover that money is a big deal in their new lives together. This book will help you make the most of each others financial strengths, teaching you how to work together to build a solid financial future. Through a 10-step action plan, you’ll learn how to prioritize goals, get out of debt, build savings, invest wisely, buy a house, and much more — all in a way that minimizes stress and maximizes unity. With this essential guide, you’ll avoid the pitfalls and place yourself on the path to financial success. Ideal for engaged or newlywed (5 years or less) couples, but applicable for couples who have been married longer as well. Individual copies of Money & Marriage are available through Amazon. If your church has a marriage ministry, why not buy a case and give a book to each couple that’s about to get married. To order a case of books (48 books) for $10.00 per book and free shipping ($480.00), contact us. 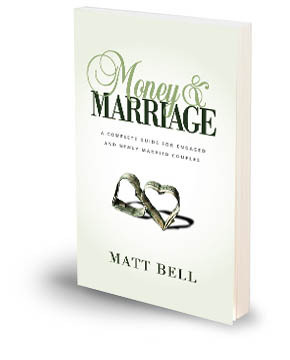 Money & Marriage is highly practical, deeply hopeful, and firmly rooted in the timeless truths of God’s Word. I’ve been running premarital counseling programs in different churches for the past 28 years, and Matt’s session on money management is the best I’ve ever seen. I recommend him and this book wholeheartedly. – William Meier, Family Pastor, Park Community Church, Chicago.